Ahoy! 1st vessel built under federal shipbuilding strategy unveiled in B.C. On Friday, the federal and provincial governments, along with local workers, celebrated the unveiling of the science vessel Sir John Franklin, which was designed in B.C. and built on B.C. 's North Shore by Seaspan as part of a national shipbuilding strategy. 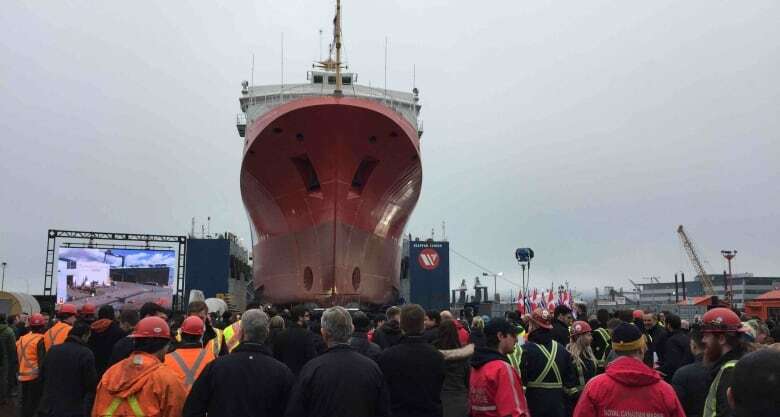 A national program to design and build ships in Canada has launched its first vessel. On Friday, federal politicians, along with their provincial counterparts and local workers unveiled the Sir John Franklin, an offshore fisheries science vessel, in North Vancouver. The boat is the first to built by Seaspan Shipyards, as part of the National Shipbuilding Strategy. It was devised to supply the Royal Canadian Navy and the Canadian Coast Guard with vessels, while creating opportunities for Canadian shipyards. The federal minister for fisheries, oceans, and the Canadian coast guard, Dominic LeBlanc, called the launch in North Vancouver a "significant milestone" for the program. The 64.3 metre vessel will be used by the Canadian Coast Guard to research the health of fish stocks and their ocean environment. CCGS Sir John Franklin is named in honour of a British Royal Navy officer and explorer of the Arctic, whose long lost ships were finally located in 2014 and 2016. 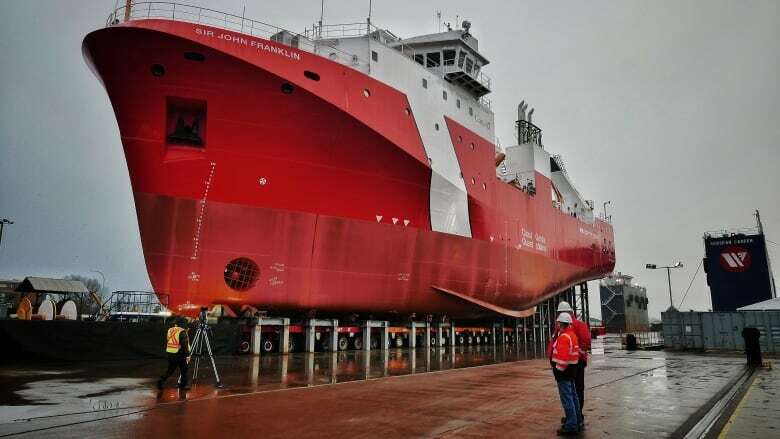 The boat is the first of three research ships to be built by Seaspan. Construction has already begun on the other two. In 2011, Seaspan won an $8-billion contract to build seven non-combat vessels as part of the 30-year federal strategy. Other boats it will build include navy resupply ships. Halifax's Irving Shilbuilding received a $25 billion contract as part of the program. In 2016, Seaspan was awarded a further $65.4 million for the project, specifically for the research vessels. Seaspan says the contract has helped create thousands of jobs. The company says it has given out $180 million in contracts to Canadian businesses and that 90 per cent of its supplies are based in Canada. Meanwhile, the provincial government says Friday's launch is a reflection of how B.C. 's economy is doing. "The launch of this vessel is the first of many and signals to the rest of Canada and the world that B.C. is ready and capable to take on large scale projects and produce state-of-the-art vessels," said Bruce Ralston, B.C. 's minister of jobs, trade and technology, in a statement.